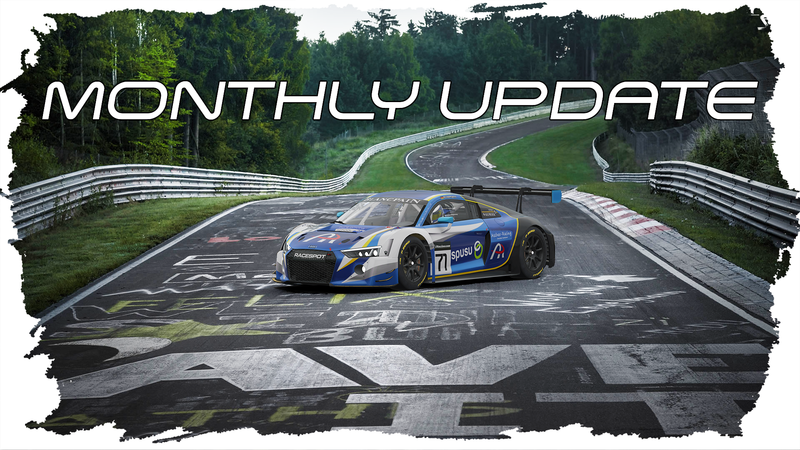 The latest round of the NEO Endurance Series took place once again at the famous Nürburgring for what was going to be an exciting 6 hour race for the team. It was familiar territory out front for Maximilian Benecke and Patrick Wolf in the Prototype class who had a dominating race in the #7 HPD ARX-01c. With a fourth consecutive win streak for the pair the #7 HPD extends there lead in the championship by 36 points. In the Grand Touring class, Maximilian Wenig and Jonas Wallmeiner took home a brilliant 2nd place in their #71 Ferrari 488 GTE, after losing a lot of time due to a stop & go penalty for speeding in pits. 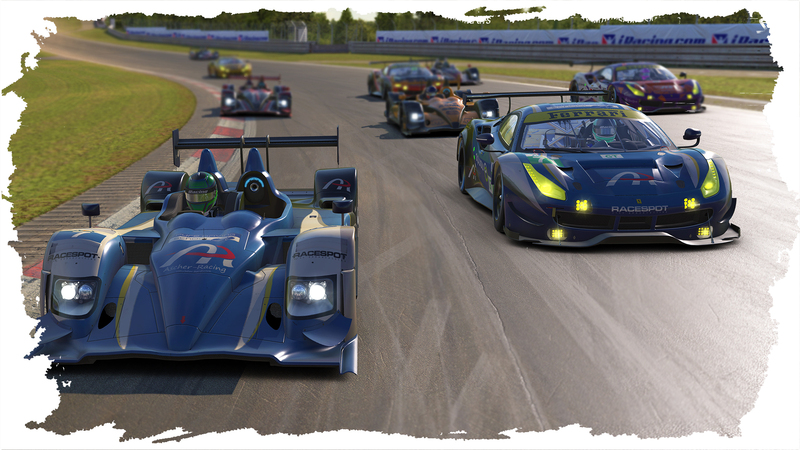 With 2 races remaining in the season, Pure Racing Team hold a commanding lead in the Prototype class by extending their point’s margin to 36 points over CoRe SimRacing. In the GTE class, our leading car sits in P4 in the standings with a deficit of 46 points to VRS Coanda Simsport who sit currently in P1. This years qualifier series for the 2018 Blancpain GT season came to an end with the 6th race of the season at the famous Nürburgring Grand Prix circuit. Already having secured qualification, the PRT Black car of Sebastian Schmalenbach, Denis Grabovsky, Damien McPhee and Patrick Wolf didn’t need to contest the event and focused on the 24h of Daytona. Our second car found themselves in a very different situation however. 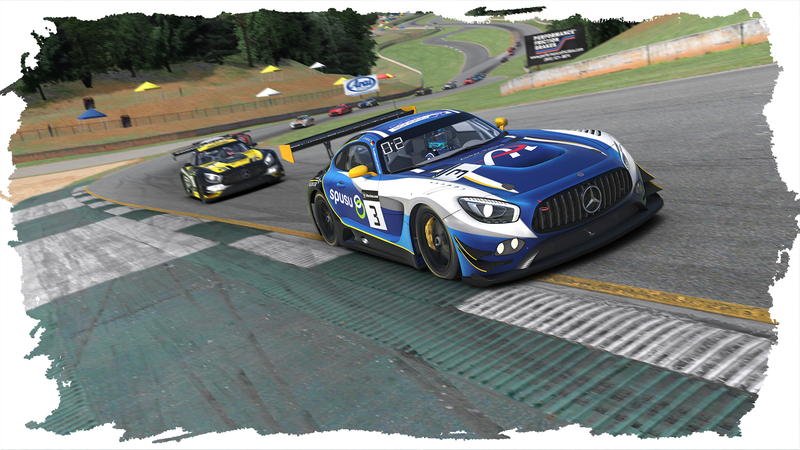 The PRT Yellow team of Marc Elkemann, Daniel Schüch, Niclas Laubisch and Andreas Dirnberger had a true battle finale with the need of a top 10 result to qualify. After what was an eventful race, the team brought home a solid 7th place. This result meant, that both teams – Black (overall P2) and Yellow (overall P18) – qualified for the upcoming World Championship series. Pure Racing Team now has 4 teams qualified and who will fight for the world championship starting in just over a months time. Last week, the first big iRacing special event in 2018 took place at the famous Daytona Int’l Speedway in Florida, USA. Pure Racing Team was contesting with two entrys, the Ferrari 488 GTE and the Mercedes AMG GT3. The PRT Ferrari 488 GTE of (Maximilian Wenig, Maximilian Benecke, Jonas Wallmeier, Marc Elkemann) absolutely dominated the whole event by taking pole position and also the race win. It wasn’t as smooth going for our GT3 team of (Denis Grabovsky, Sebastian Schmalenbach, Damien McPhee, Patrick Wolf). After a range of incidents and disconnects during the night they were unable to show their full potential. While being in the lead, the car crashed in the early stages of the race and ended up with severe damage and in turn cost the team lengthy repair time in the pits. With 8 laps behind, the team still managed to finish the car and took home P9. Having finished the qualifier series for the upcoming Blancpain GT series, the regular Blancpain Endurance Series kicked off this week at Watkins Glen. PRT took part with two teams (Team Black: Jonas Wallmeier and Sebastian Schmalenbach, Team Green: Daniel Schüch, Niclas Laubisch and Clemens Fregona) and finished in style with a solid P1-2 finish. In January, two drivers marked some personal records. Jonas Wallmeier is now a member of the >8.000 iRating club whilst Sebastian Schmalenbach made it over the 7.000 mark. Everyone in the team is now waiting for Maximilian Benecke, currently sitting at 9916 points, to become the first driver ever to reach an iRating of 10.000 and above on the road license.